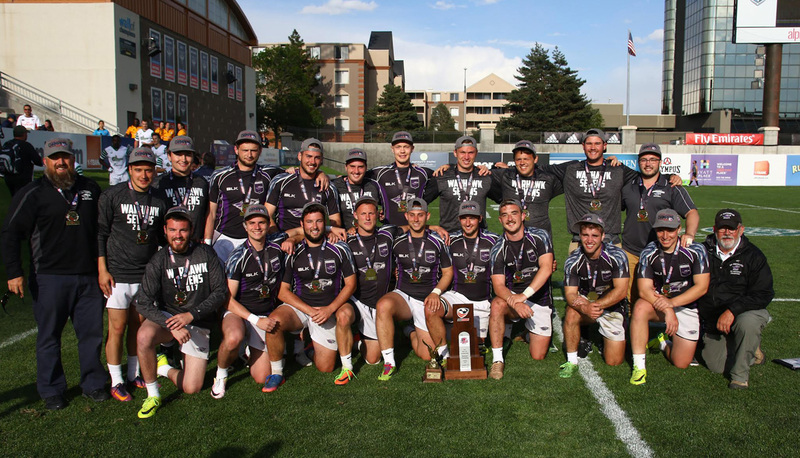 GLENDALE, Colo. – University of Wisconsin-Whitewater raised a trophy for the second time this season Sunday, winning the 2017 Men’s Division II College 7s National Championship with a 26-5 defeat of University of North Carolina, Charlotte, at Infinity Park. The Warhawks had won the Men’s DII 15s Championship in December and finished pool play Saturday undefeated like its Final opponent. One-try victories against Endicott College in the Quarterfinal and University of Hartford in the Semifinal were good warmups for the title-decider, where Whitewater put together its best 14-minute performance of the weekend. 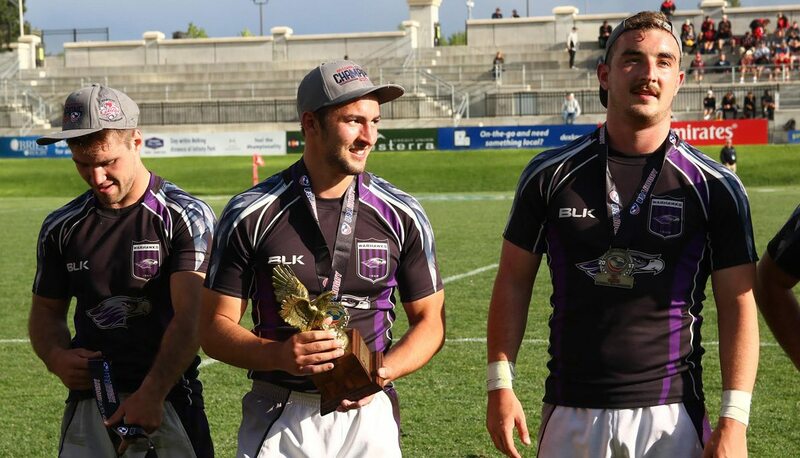 University of Hartford will take solace in keeping Whitewater to its lowest points tally in a game in the 17-12 Cup Semifinal loss, because the Hawks let slip a Bronze medal to Southern Connecticut State University. The Hawks, who had earlier seen two leads disappear at the hand of Charlotte, peeled away from a 12-12 tie after seven minutes to claim the medal, 31-19. Endicott was in Whitewater’s way in the Cup Quarterfinals, but finished off the day with the Plate Championship following a 32-0 Semifinal shutout of North Carolina State University and 19-12 win against Drexel in the Plate Final. Norwich University was pooled with two Cup Semifinalists – Hartford and Southern Connecticut – on Day One and split results between the two, but was on the outside looking in come the knockout rounds. The Cadets conceded just four tries in its two Bowl matches, beating University of Texas, San Antonio, 29-10, before earning redemption against pool opponent Principia College, 31-10, to win the Bowl. St. Louis University would go on to claim the Shield with a 25-10 defeat of San Antonio after a shutout to Principia dropped the Billikens from the Bowl competition.